Organic superfoods are pure, natural foods, originating from some of the most remote, unspoiled corners of our world and have been harvested for centuries by a variety of indigenous peoples such as the ancient Egyptians, Mayans, Aztecs and Incas who recognised their extraordinary value. Superfoods are commonly broken down into several categories including cacao products, algae & seafood, dried roots, grasses & vegetables, nuts & seeds, dried berries & fruits, vegetable fats, bee products, super herbs and a range of superfood supplements. 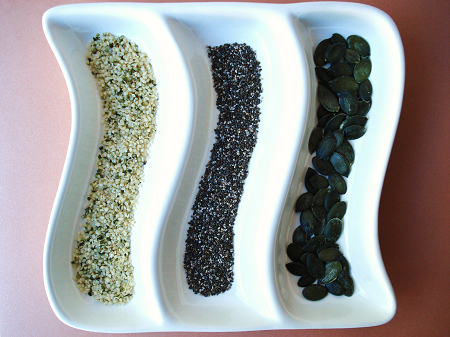 Super seeds are a special sub-category of superfood that we feel warrant closer inspection. That’s because super seeds are little powerhouses of nutrition, packed with protein, dietary fibre and other micronutrients that are essential for a healthy lifestyle and the fat that they contain is predominantly unsaturated and monounsaturated fats or ‘good’ fats. Below you’ll discover more about our five favourite super seeds in addition to five fascinating facts and five delicious ways to enjoy them. The following five super seeds are all available from Detox Your World and have been certified organic by "Organic Farmers & Growers", the UK’s leading government accredited organic certification body. Organic pumpkin seeds are a delicious alkaline forming food that contain an impressive selection of valuable nutrients including healthy fats, fibre, vitamins (especially vitamin E), minerals such as magnesium, copper and in particular zinc – in fact, the World Health Organization positively recommends pumpkin seeds specifically for their zinc content - and are one of nature’s finest sources of plant-based omega-3 fatty acids (alpha-linolenic acid). A favourite with the Mayans, Aztecs and Tehuantepecs of South America for thousands of years, chia seeds offer a large variety of beneficial nutrients including protein, fibre, vitamins (vitamin A), minerals (such as calcium, potassium, magnesium, zinc, phosphorus, manganese and sodium) and omega-3 fatty acids. Please note that as chia seeds fall under the Novel Foods Law, they are only recommended for use as a tasty ingredient in bread. Arguably the yummiest snack under the sun, sunflower seeds are loaded with fibre, protein, vitamins, minerals, polyunsaturated fatty acids and omega 3 and omega 6 fatty acids. Their benefits have been enjoyed for thousands of years by a number of cultures including the Inca’s for whom the sunflower plant was also a symbol of god. The seeds, oil and root of the sesame plant, which is native to Africa and grown in South and Central America, are used all over the world for a variety of medicinal and culinary purposes. Crunchy organic sesame seeds can be enjoyed raw or lightly toasted and are brimming with fibre, protein minerals (including magnesium, phosphorus, potassium, calcium and zinc) in addition to polyunsaturated fatty acids. Gluten-free, organic hemp seeds boast a temptingly creamy, faintly nutty flavour and contain a wealth of nutrients such as vegetable protein, vitamins (vitamin E), minerals (including magnesium, potassium, calcium, iron, manganese, zinc, copper, platinum, phosphorus, sulphur, boron, nickel, germanium, tin, iodine, chromium, silver and lithium), omega-3 fatty acids, phytonutrients, trace elements, every essential amino acid and alpha, beta and gamma globulin. Unlike marijuana, our organic hemp seeds are derived from industrial hemp, which has virtually no psychoactive effects. They are available in both shelled and unshelled varieties. 2) The nutritional content of pumpkin seeds actually improves with age! According to tests conducted at the Massachusetts Experimental Station, pumpkin seeds stored for more than five months exhibited a demonstrable increase in protein content for example. 3) The Aztecs once considered chia seeds so valuable that they were used as a form of currency. 4) Sunflower seeds can also be germinated. The young shoots can be added directly to fresh salads and other rawfood recipes. 5) In some Asian countries, sesame seeds are believed to possess mind and life-enhancing properties. 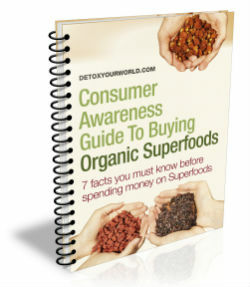 Organic super seeds can be used in an almost infinite number of exciting ways. Here are our suggestions for making the most of this versatile category of superfood. Super seeds are an ideal addition to raw soups and salads - try scattering them liberally over savoury rawfood recipes for extra crunch. For added bite, sprinkle generous quantities of your chosen super seeds over your regular breakfast cereals or muesli before topping with lashings of almond milk. Organic hemp seeds in particular, add an extra dimension to smoothies and shakes. Check out our smoothies and drinks page for inspiration. Homemade raw chocolate crammed with your favourite organic super seeds is a match made in heaven. We particularly enjoy the flavour combination of sesame seeds and plain chocolate, but feel free to experiment until your heart’s content. Of course organic seeds make a decidedly wholesome raw snack straight from the bag – and they’re an incredibly sensible treat that kids in particular, just can’t seem to get enough of!